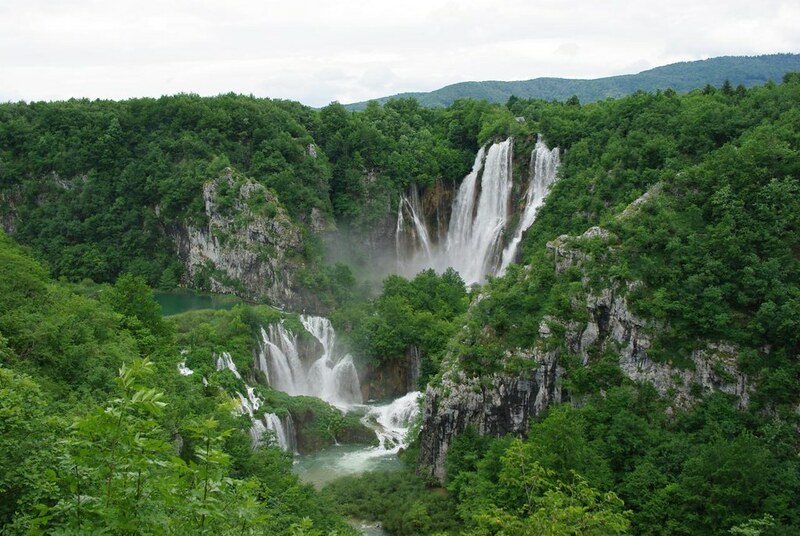 Hiking in Croatia will take you across the karst mountains and its dry grasslands and rocky terrain, through lush forests and beside clean mountain rivers, waterfalls and creeks. You will be rewarded by incredible scenery along the way and breath-taking views atop Croatia’s mountains, with sublime views of the Adriatic coast, islands and far into the hinterland. Here is the list of the regions with the best hiking destinations and information about what you can see, where you can stay overnight and how to get there. All destinations offer easy to moderately difficult hiking trails. Some of them can be more demanding than others because of the rocky and scree trails, lack of water or open terrain with no shade. But all of them are there to be enjoyed if you plan your hike well. The biggest nature park in the whole country is situated within the Lika region. Velebit Mountain is part of the huge Dinaric Alps and the most popular hiking destination in the country. It’s a natural border between the Adriatic Sea and Lika’s hinterland. Because of its rich biodiversity, the whole mountain is a protected area, with two national parks – Northern Velebit and Paklenica (South Velebit). The most popular route is the Premužić Trail that spans through the entire Northern Velebit National Park to Baške Oštarije in Central Velebit. 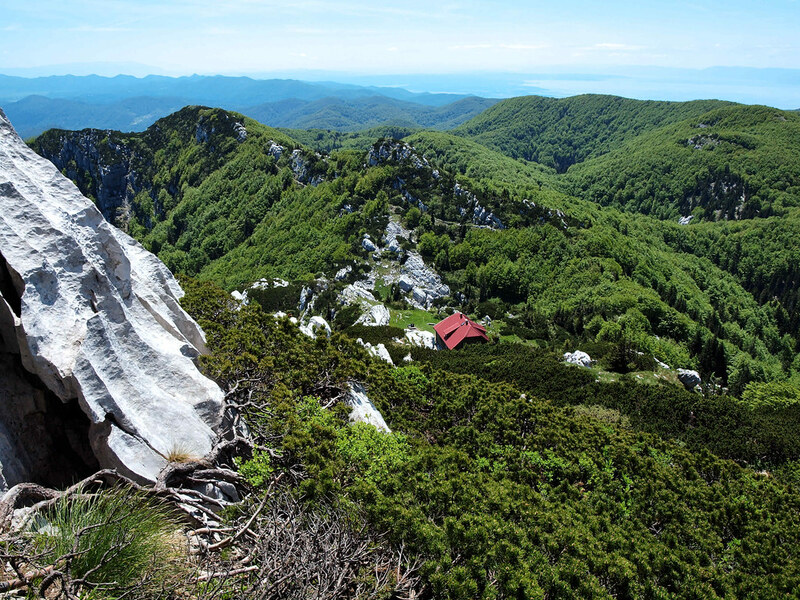 This 57 km long trail was designed by Ante Premužić who wanted to make this impassable karst terrain accessible for all mountain lovers but also keep its beauty and wilderness. The trail winds between interesting karst forms, meadows and through beautiful dense forest. It offers amazing scenery with a great view of the Adriatic Sea, islands and beyond from the nearby peaks. For those who are up for a bigger adventure and want to hike the longest mountain in Croatia in its entirety, there is the Velebit Hiking Trail, a 100km route taking approximately 9 days to complete. After you have hiked the entire Premužić Trail continue across the central Velebit and Paklenica National Park. The trail isn’t technically demanding and is divided into 9 sections of equable length with handy mountain lodges or shelters to stay in at the end of each section. 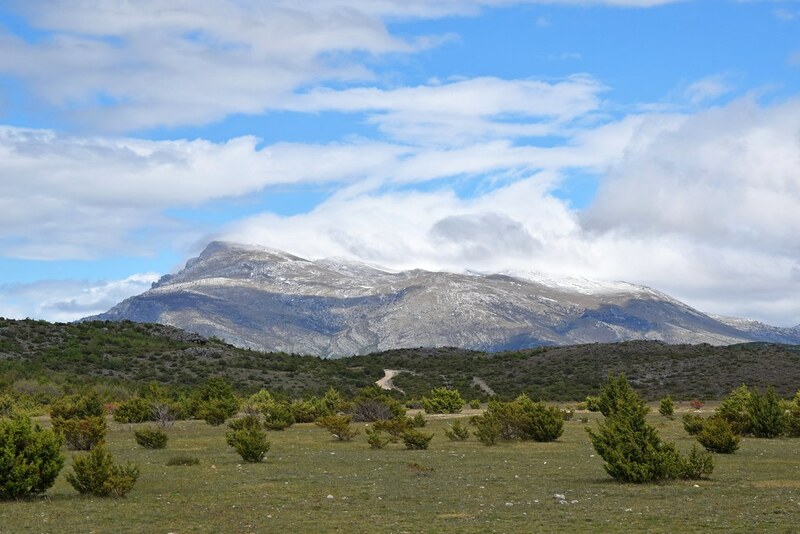 The highest peak of Velebit, Vaganski Peak, is situated in Paklenica at 1757m. The area of Paklenica has very interesting landscape and two beautiful canyons: Mala and Velika Paklenica. There are numerous hiking trails, and thanks to its rocky terrain a few good spots for climbing. You can also visit the beautiful Manita Cave and artificial tunnel complex built by the Yugoslavian army in the 1950s. Camping in the wild isn’t allowed on Velebit and there is only one campsite (Baške Oštarije) along the Velebit Hiking Trail, but there are numerous mountain lodges and shelters. Just make sure you plan ahead. Besides the Velebit Nature Park, another extraordinary place to visit in the Lika region is Plitvice Lakes National Park. This is the oldest national park in Croatia. It’s situated near the border with Bosnia and Herzegovina. The park is very well connected via state roads with major cities in the area and suitable for families with kids. 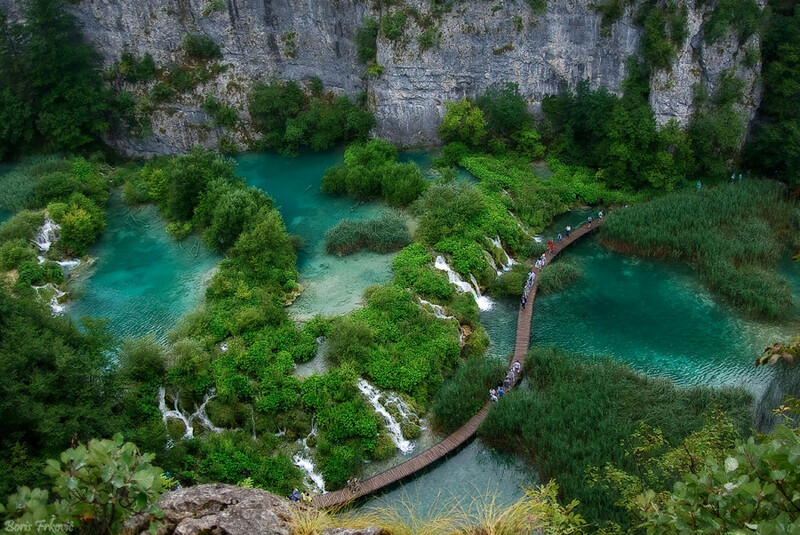 Plitvice Lakes National Park offers beautiful relaxing hikes through dense forest and beside numerous lakes. You can find a map of the trails at the main access point and choose anything between a modest 2-hour walk to an all-day trek. On some routes you can also find information boards to give you a deeper understanding of the area. 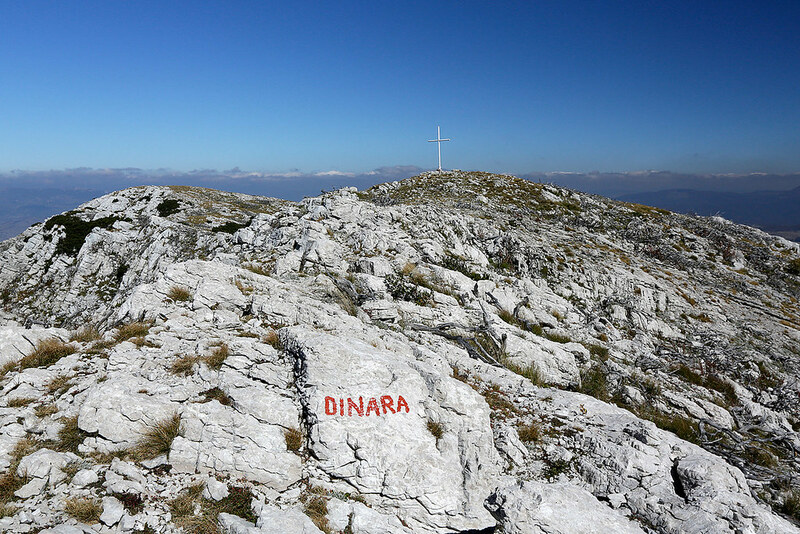 The highest peak in Croatia (Sinjal or Dinara at 1831m) is situated in Dalmatia region on Dinara mountain. It forms the border with Bosnia and Herzegovina, one part of the mountain is in Croatia and other in Bosnia. This is a mountain after which the entire mountain chain of the Dinaric Alps got its name. This is the empire of karst terrain with vast fields of dry grass and giant limestone rocks. Due to the terrain, Dinara is mostly dry, except in the foothills which are rich with water. There are wells and water tanks (but may be empty/closed) along the trail, but it’s very important to inform yourself beforehand about the places where you can refill your bottles. The best way to hike the highest peak of Croatia is as a two-day hike. There is one basic mountain lodge, open by appointment and two shelters (it’s good to check are they open). 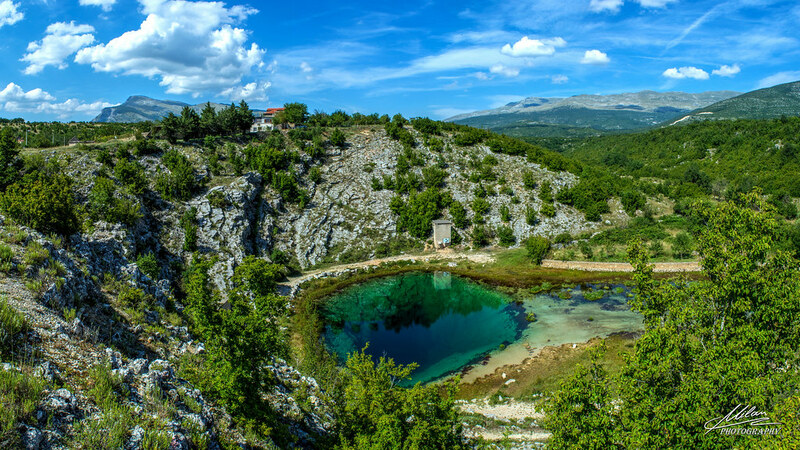 To experience the most of this mountain start your hike from the river source (small lake) of the beautiful Cetina river in the Dinara foothills and hike to the top. 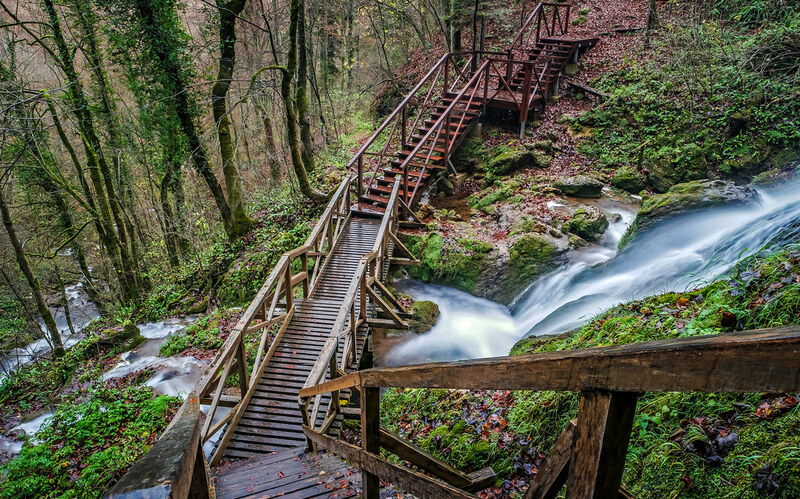 This trail is part of the mega-hiking Via Dinarica trail in Croatia. It possible to wild camp anywhere you like but if you want luxurious accommodation there is Villa Cetina located near the source of Cetina. Above Omiš Town rises Omiška Dinara Mountain. Although its highest summit is the half the size of Dinara, this mountain offers stunning views from the medieval fortress above Omiš and Kula/Imber Peak. You can see the Adriatic coast, Brač Island and the surrounding mountains and vast fields all the way to the Bosnia’s mountain Čvrsnica and Prenj. Especially impressive is the sharp ridge of Biokovo Mountain which creates a natural border between the sea and Dalmatian’s inner lands. Medieval Fortress above Omis Town. Photo by Sabina Sirco. This brings us to the next very interesting hiking destination, the Biokovo Nature Park. As well as Omiška Dinara, Biokovo has a mostly rocky landscape with many sinkholes on its highest slopes. Great thing is that you’re hiking from sea level and you can conquer the second highest peak in Croatia – Sveti Jure at 1762m. Bad thing is that you need to carry a lot of water, especially during the summer season. Or you can cheat and drive to the top of the highest road in Croatia and then take a short hike to Vošac peak and to the Toni Roso mountain lodge. The lodge is situated on the cliff with a great view of Brač and Hvar islands and Makarska town below you. Brač and Hvar islands are also possible to hike and enjoy in the view of the Adriatic coastline and islands. 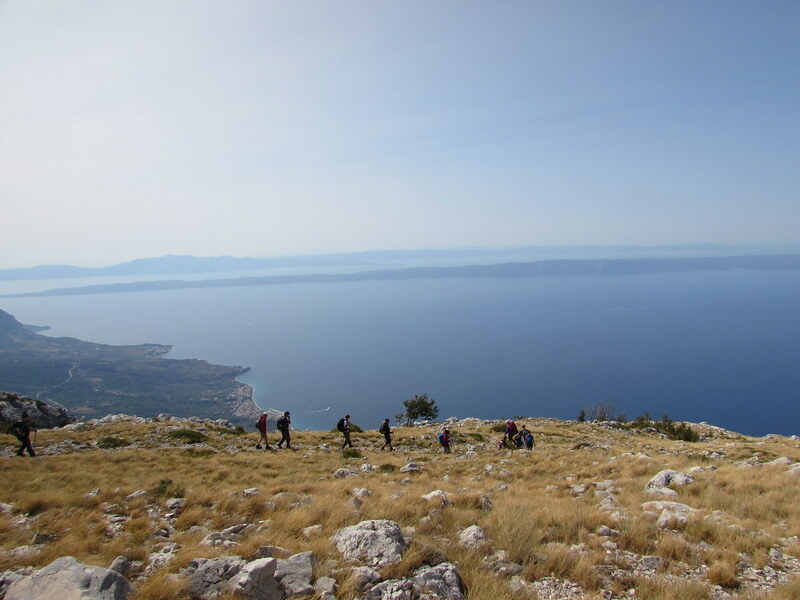 On Brač you can hike from Bol town to Vidova Gora (780m), the highest summit of Adriatic islands. Hvar offers an impressive view of the open sea towards Italy and over the rest of the island from the top of Sveti Nikola peak (628m). Both islands are very well connected via ferries and catamarans from Makarska, Drvenik or Split. 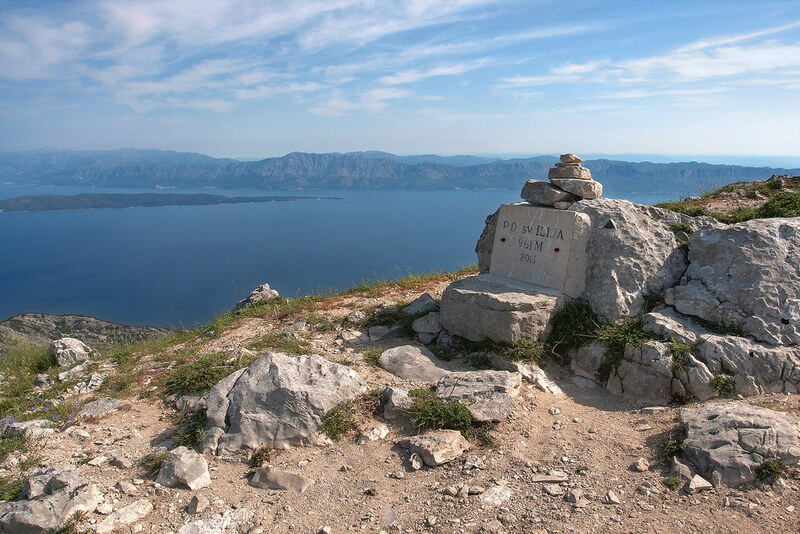 Another popular hike in the Dalmatian region is to the top of Pelješac Peninsula – Sveti Ilija (St. Elijah) at 960m. It has a unique view of the Dalmatian archipelago and its rocky, sharp ridges. Hikes on Brač, Hvar and Pelješac are moderate, not technically demanding and takes around 5 hours in both ways. Due to its rocky terrain and lack of water, the best time to hike in Dalmatian region would be late spring, early summer and autumn. Slavonia region is mostly a huge prairie surrounded with mountain ranges up to 1000m. 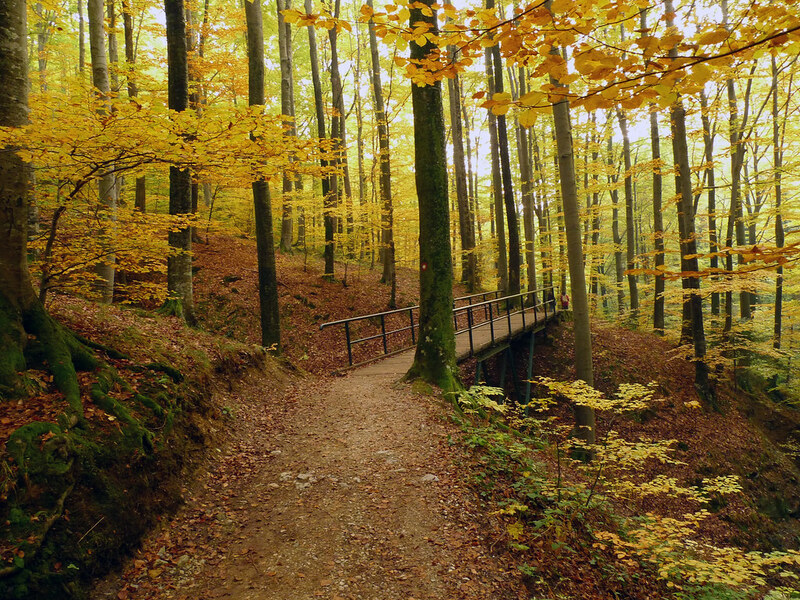 The most popular destination for hiking in this region is forest oasis of Papuk Nature Park. This park offers easy one-day hikes suitable for families with kids. Trails wind through the dense forest along the lakes and creeks tumbling from the cliffs and beside a medieval fortress. It’s possible to camp, but there are also plenty of hotels, mountain huts or boarding houses run by locals. Connection with roads is good. From Zagreb, Croatia’s capital, you can get to Papuk via highway. There are three main entrances on the northern side and one on southern. You can find more information online on the main page of Papuk Nature Park. North of Zagreb, above the city, rises Medvednica mountain. Medvednica’s western part has been declared a nature park. The longest trail is around 50km long and traverses the main ridge of the mountain. Its highest peak is Sljeme at 1033m. There are numerous shorter trails that are all well-signed with red-white markings. Medvednica has lots of very cute and comfortable mountain lodges scattered across its ridge and slopes. In some of them, you can even pay by card. Availability varies from hut to hut but most of them are open every weekend. 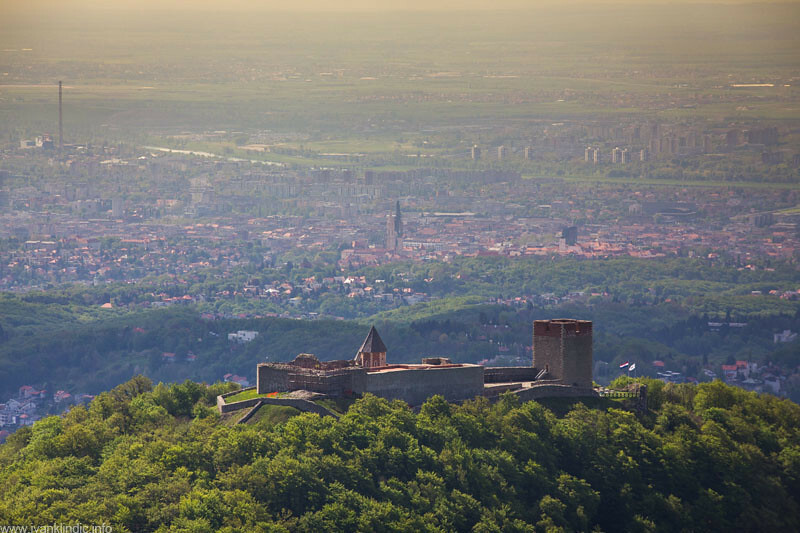 Don’t forget to visit the extraordinary medieval town of Medvedgrad, situated on the hill surrounded with dense forest and incredible views of Zagreb. It’s located in the immediate hinterland of the Adriatic Sea, a place where the continental and Mediterranean climate collide. It, therefore, has a rich and diverse ecology. 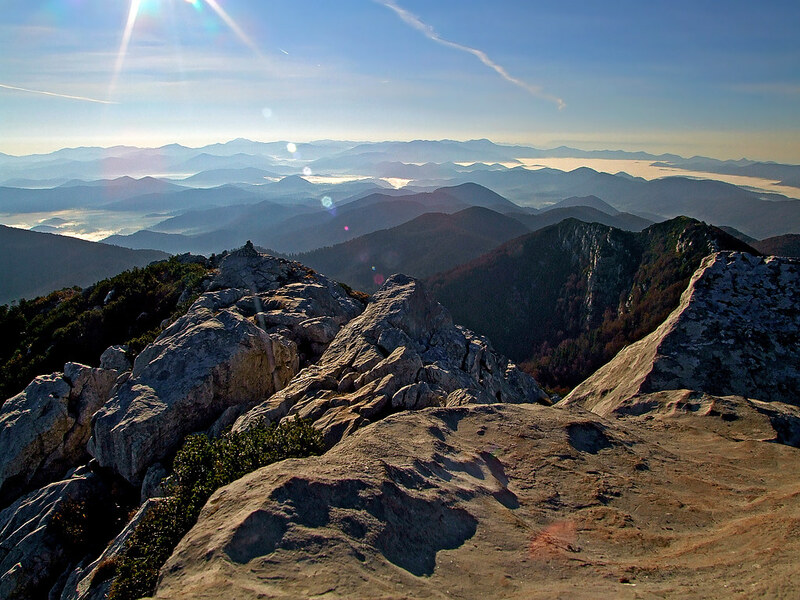 The most popular place for hiking in this region is the Risnjak Nature Park, named after the endangered lynx, which lives in its dense forests. 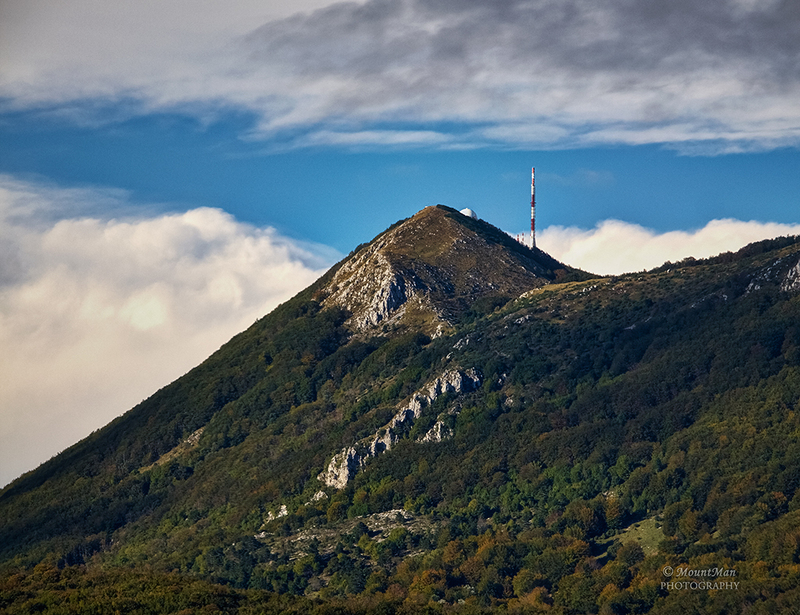 The main hikes lead to its highest peaks Veliki Risnjak (1528m.) and Snježnik (1505m), where you will be rewarded with a wonderful view of the Julian Alps in Slovenia, Kvarner Gulf, the bay of Rijeka town, Učka Mountain, Bjelolasica and Velebit Mountain. 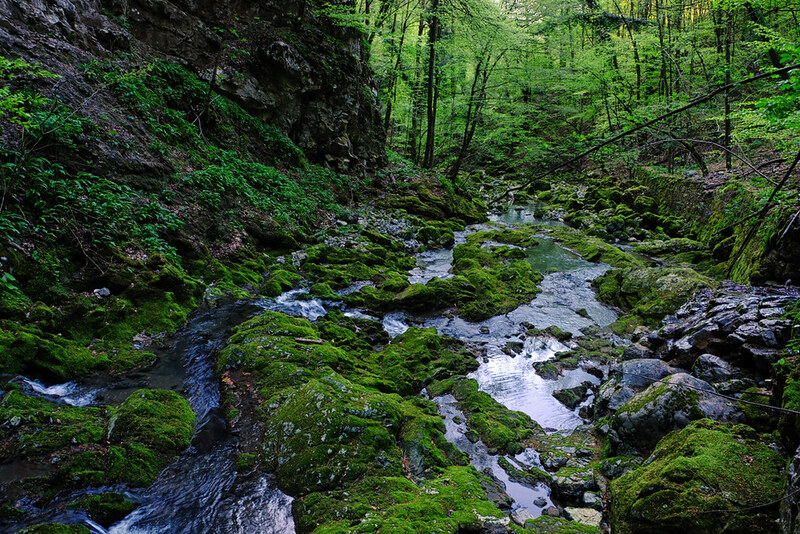 Not far away from Risnjak, near the Skrad settlement, there is a very narrow canyon – Vražiji Prolaz (Devil’s Passage). Throughout the canyon, stairs and bridges have been installed that take you to the entrance into a 200m deep cave. At the end of the cave is a small chamber where the source of Zeleni Vir forms a small lake. This is a fairly easy, short hike with lots to take in. It’s possible to stay overnight and eat homemade food in the mountain hut, which you can also get to by car. Lokvarsko Lake is very close to Risnjak Nature Park and is well connected by road. This is a large artificial lake near the settlement of Lokve. It’s surrounded with dense forest and the main hiking path is 17 km long and runs along the entire lake. There are numerous caves hidden in the forest, but only two of them are open to the public. This is not a demanding walk so it’s perfect with kids. Istria is the largest peninsula in the Adriatic Sea, located between Trieste and Kvaerner Gulf. The massif of Učka Mountain rises above the Kvarner Gulf and on a clear day, you can enjoy incredible views of the Istrian hills, Kvarner islands, Italian Alps and the Bay of Trieste. 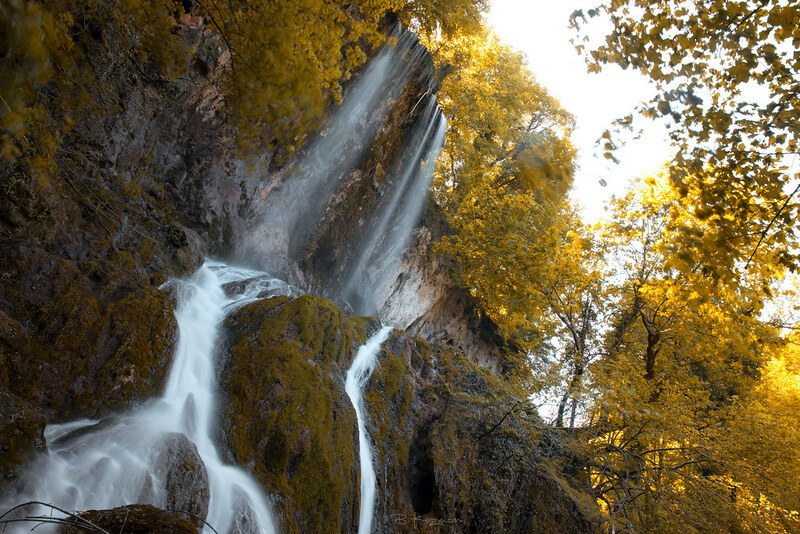 There are several hiking paths through the lush forest that takes you to the beautiful waterfall and along the canyons and Učka’s sharp ridge. This karst mountain has many pits, caves and sinkholes, with easy to moderate one to two-day hikes. Discover our hiking trips in Croatia and other Croatian adventures.